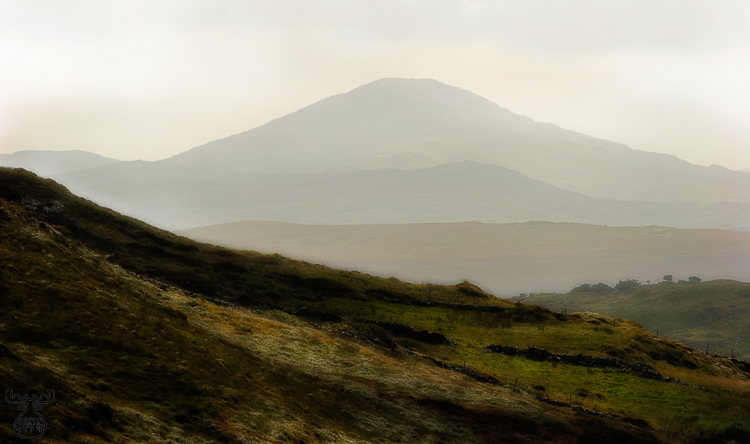 A mountain scenery you can find on the Skyroad in Connemara in Ireland, County Galway. The Skyroad we met by coincidence. We missed the right junction in Clifden, and as a market blocked more or less the whole city, we definitely didn't want to return the same way through hundreds of market stands and thousands of visitors. It was worth our while .. and some picture editing made the picture fit into the "Ireland in Art" portfolio.